Forrester estimates global organizations have an average of 256 digital touchpoints across their organization. Aside from addressing the complexity of managing those touchpoints, how are companies ensuring compliant and consistent experiences across them? 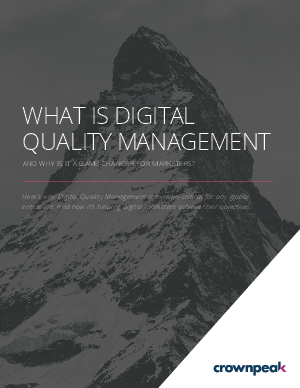 A growing number are turning to digital governance solutions, like Digital Quality Management.